Baroness Edmond began collecting buttons in the late 19th century, at a time when it was fashionable to acquire French bibelots (ornaments) of the 18th century. She bequeathed these to her daughter in law, Dorothy, writing “I give to my dear Dolly the Indo Chinese coffer containing my collection of buttons. I also give her the antique buttons that decorate my dresses and coats”. The buttons were later displayed by Dorothy in wall cases and many can now be seen in the Goodwood Room in Waddesdon. 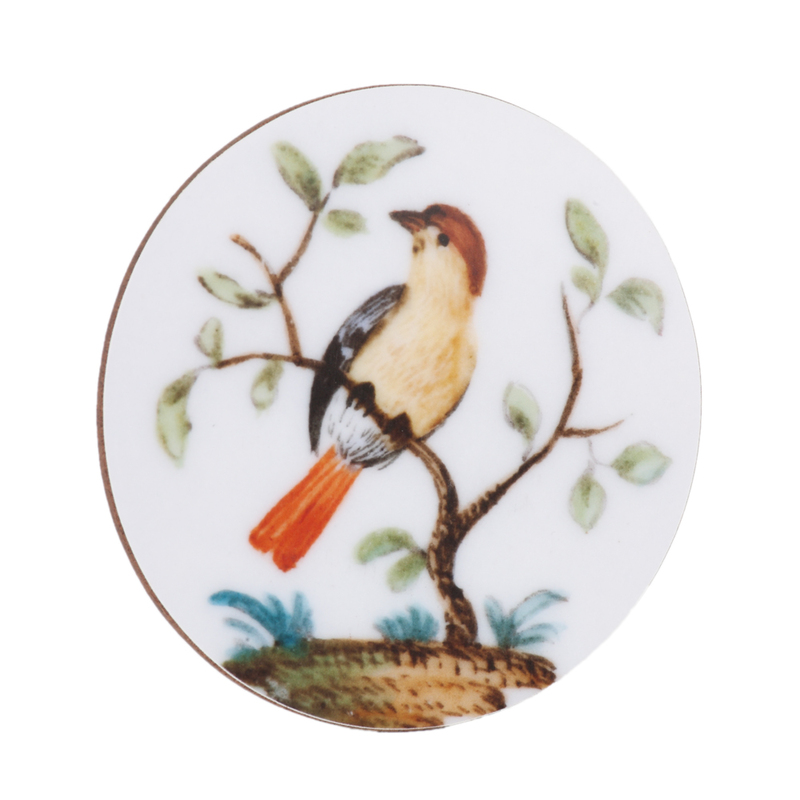 This includes a selection of Meissen porcelain buttons from Germany which have inspired these designs.